Sara Bareilles is getting ready to serve up her hit Broadway musical Waitress for audiences in London's West End. Grammy nominee Bareilles recently previewed the show at a press event, during which she showed off numbers from her Tony-nominated score. 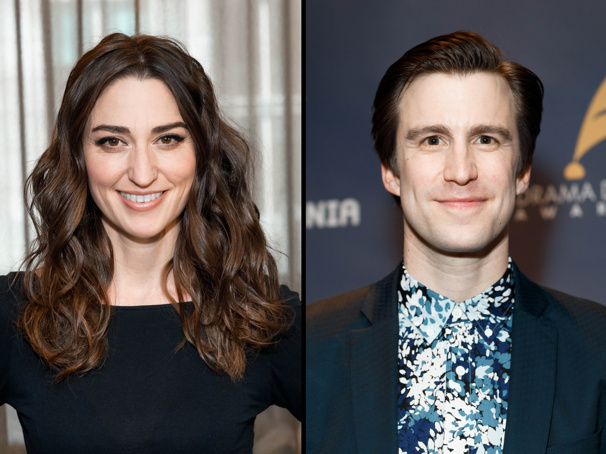 Even though casting hasn't yet been announced for the U.K. transfer, Bareilles invited her talented pal, Tony and Olivier winner Gavin Creel, to take on the role of Dr. Pomatter in a duet of the charming tune "Bad Idea," with Bareilles as Jenna. Start watching at the 15:00 mark below and keep fingers crossed that the production's official stars sound just as good as these two.